Beer reviews may be a little slow around here for a while Why? 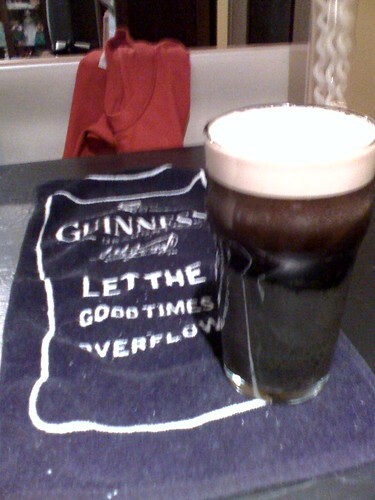 Because I have a kegerator full of Guinness goodness up and running. One of our neighbors recently moved to France and left their kegerator with me for the next three years. They dropped it off before we left for the holidays, but I wasn’t able to get a keg until Friday since they only deliver kegs once a week. I managed to not screw up the connection of the gas lines and tapped it without spraying beer all over myself as well. My only slipup was forgetting to open the valve, but I quickly figured that out when the beer slowed to a trickly. Once I opened the valve, the beer flowed freely. I can’t imagine what this setup cost, but I figure I have three years to start saving up. It’s going to be a hard habit to break.